Ron Sun is a cognitive scientist investigating the fundamental nature of the human mind using various methodologies of cognitive science, and in particular computational modeling as a means of forging process-based comprehensive theories of the mind. He has played a leading role in developing hybrid systems for cognitive modeling. He has published more than 150 technical papers in journals such as Psychological Review, Cognitive Science, Artificial Intelligence, and Neural Networks, as well as 9 books by MIT Press, Cambridge University Press, Oxford University Press. Sun has been instrumental in organizing key events in the development of hybrid systems through his involvement with research, conferences, and academic organizations. He has held numerous leadership positions within the field, including program chair of IJCNN 2007, general chair and program chair of the 2006 Cognitive Science Society Conference, and chair of the 2010 Workshop on Cognitive Social Sciences in Portland, Oregon. He has been an invited, plenary, or keynote speaker at many conferences including recent events such as the 16th International Conference on Neural Information Processing (ICONIP 2009), the 19th International Conference on Neural Information Processing (ICONIP 2012), and the International Conference on Adaptive Knowledge Representation and Reasoning in 2008. His most recent books include Grounding Social Sciences in Cognitive Sciences (MIT Press) and Cambridge Handbook of Computational Psychology (Cambridge University Press). His recently published research includes “Moral judgment, human motivation, and neural networks” in Cognitive Computation, “Autonomous generation of symbolic representations through subsymbolic activities” in Philosophical Psychology, and “Psychologically realistic cognitive agents: Taking human cognition seriously” in the Journal of Experimental and Theoretical Artificial Intelligence. 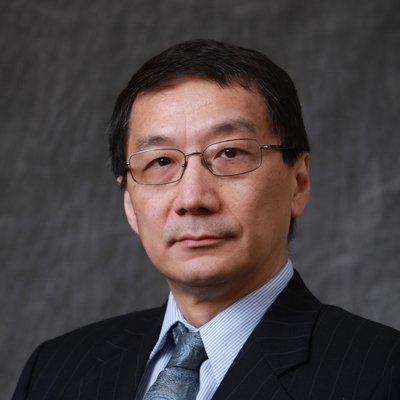 Sun is the founding co-editor-in-chief of the journal Cognitive Systems Research and also serves on the editorial boards of Neural Networks, Connection Science, IEEE Transactions on Autonomous Mental Development, Cognitive Computation, and more. He is on the Governing Board of the Cognitive Science Society, and the Board of Governors of the International Neural Network Society. He received the 1991 David Marr Award from Cognitive Science Society (at the Thirteenth Annual Conference of Cognitive Science Society), and received the 2008 Hebb Award from the International Neural Networks Society. He is a Fellow of IEEE and in May 2015 was appointed a Fellow of the Association for Psychological Science for "sustained and outstanding contributions to psychological science."